functions *grin*. my interface is native winows and not console based. it runs fine under windows me and windows xp. a documentation can be found on wiki.dev0.de. + added more one shot commands /A, /C, /D, /Q, /S, /? + added ability to mark text in chat-window and copy it with ctrl-c.
* modified icon. display now version number. + added message when pressed Alt-F4. 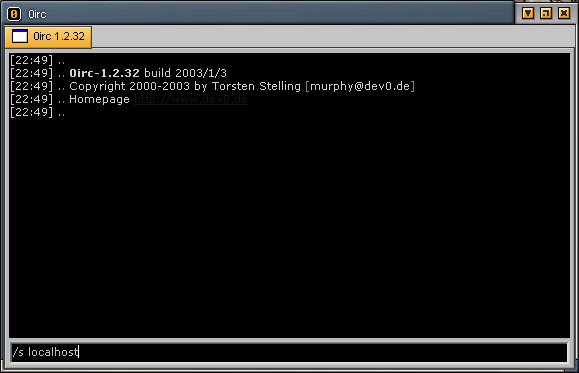 +     dll: litestep's about screen shows now revision of DLL. 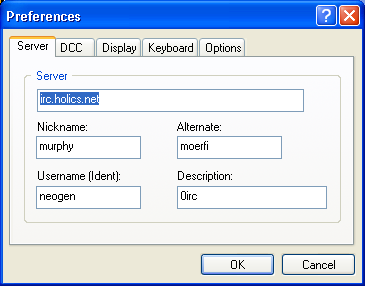 + exe/dll: autorejoin is now an option. + exe/dll: added /IGNORE DELETE to delete an ignored nick. 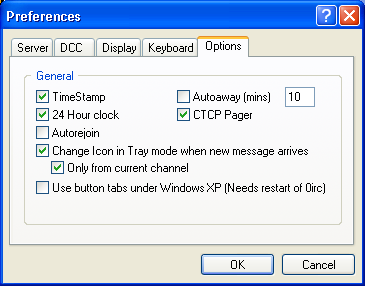 * exe    : fixed some of the shortcuts in the configuration dialog. 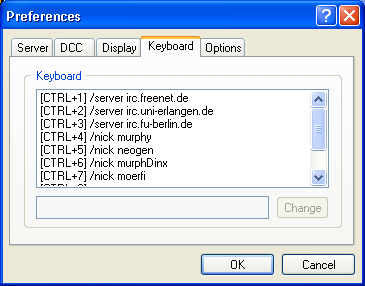 + exe/dll: added CTRL+A..Z shortcuts for commands. + exe    : mapped CTRL+T to /TRAY. removed internal CTRL+T shortcut. 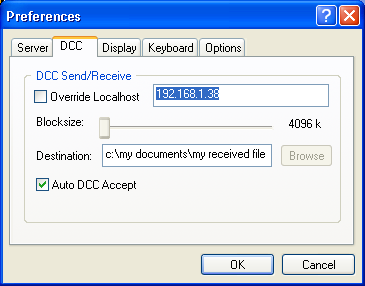 + exe/dll: mapped CTRL+I to /JOIN INVITATION. internal CTRL+I command removed. + exe/dll: mapped CTRL+N to /CHANNELS NEXT. internal CTRL+N command removed. + exe/dll: mapped CTRL+Y to /WINDOW NEXT. internal CTRL+Y command removed. + exe/dll: added /CHANNELS PREVIOUS command. + exe/dll: added /WINDOW PREVIOUS command. + exe/dll: added multicommands with &/command extensions in one line. * exe/dll: readded /SERVER command. dialog, and typed '/connect', and I was online. recycled Litestep. Et Voila! 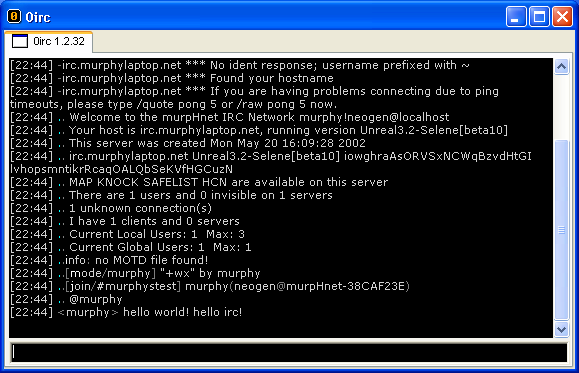 Instant desktop irc window! Very slick. Litestep based scripting of the client!). murphy's screenshot from yesterday (.png graphic). dialog), and it handles all the usual stuff. Weighs a whole 50k.